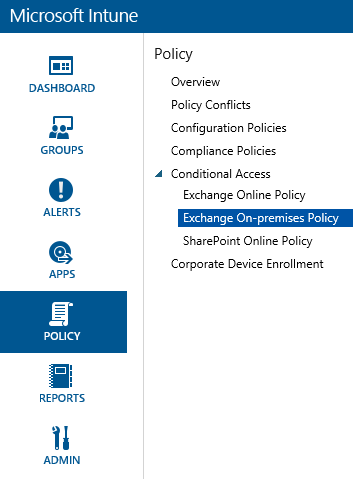 Now that we have a Compliance Policy in place, it is time to create a Conditional Access Policy, which will vary depending if we are using Exchange Online or Exchange on-premises. 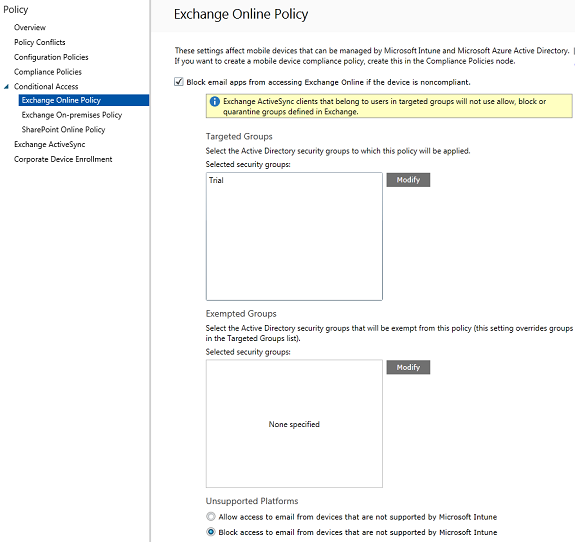 Please note that if we have not deployed a compliance policy and then enable the Exchange Online policy, all targeted devices will be reported as compliant. 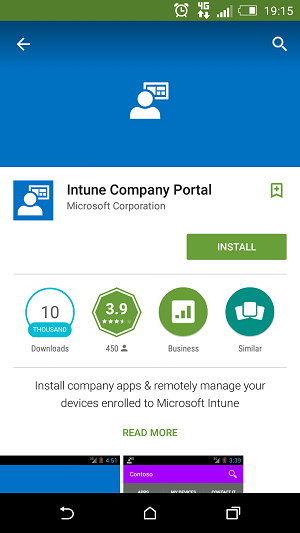 Also, regardless of the compliance state, all users who are targeted by the policy will be required to enroll their devices with Intune. 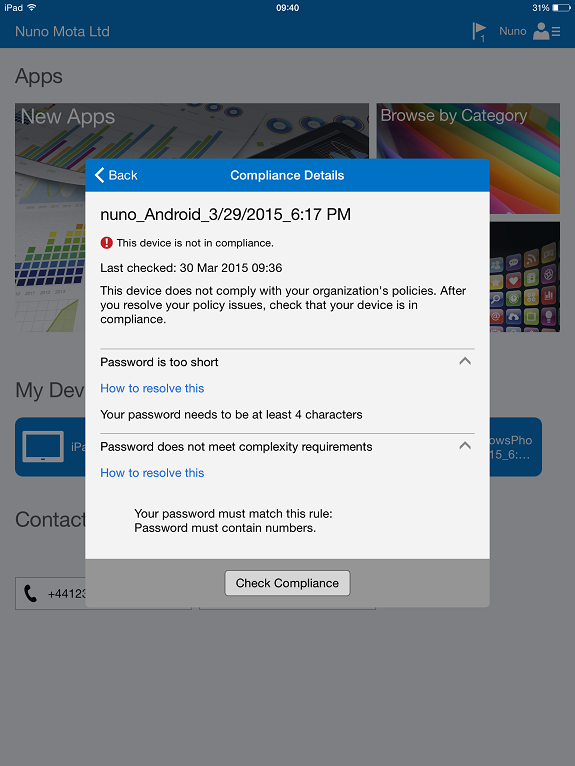 If the user un-enrolls their device, email will be blocked after approximately 24 hours. 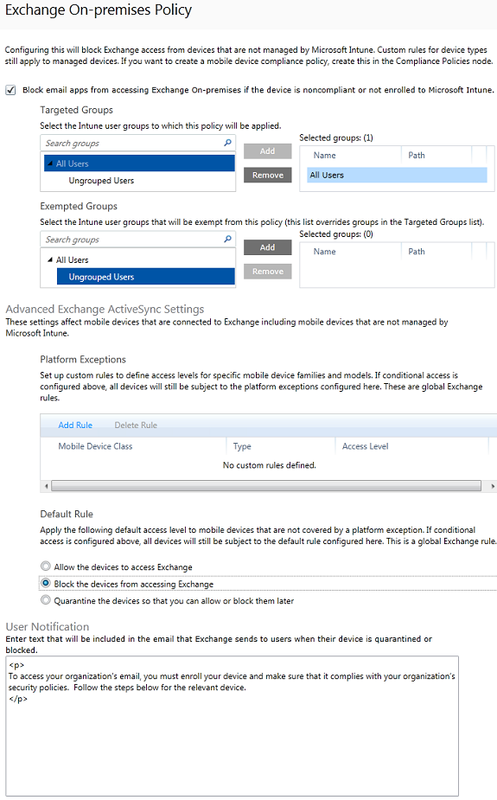 When we select this option, devices that are not managed by Intune or are not compliant with a compliance policy that was deployed to them will be blocked from accessing Exchange unless they have been defined as exempt. 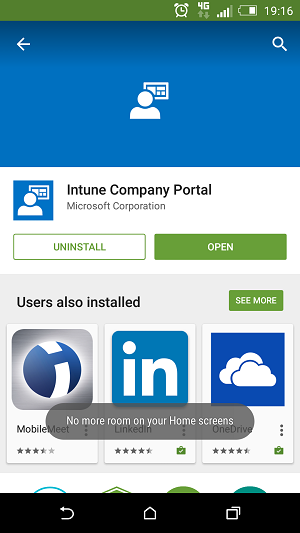 Select one or more Intune user groups. 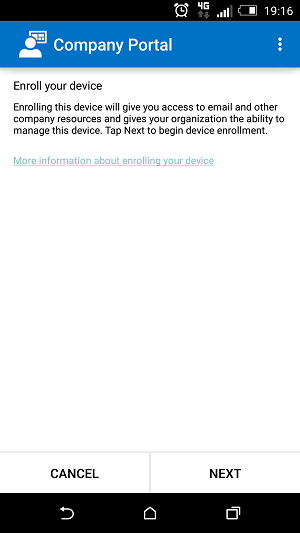 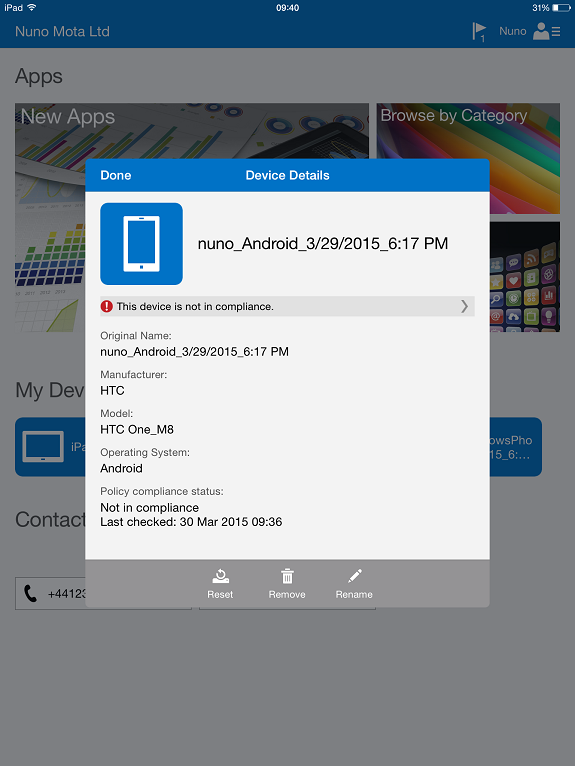 Members of this group must enroll their device with Intune to be able to access Exchange. 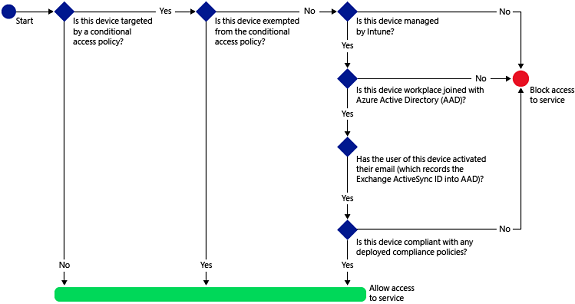 Select one or more Intune user groups that will be exempt from the conditional access policy. 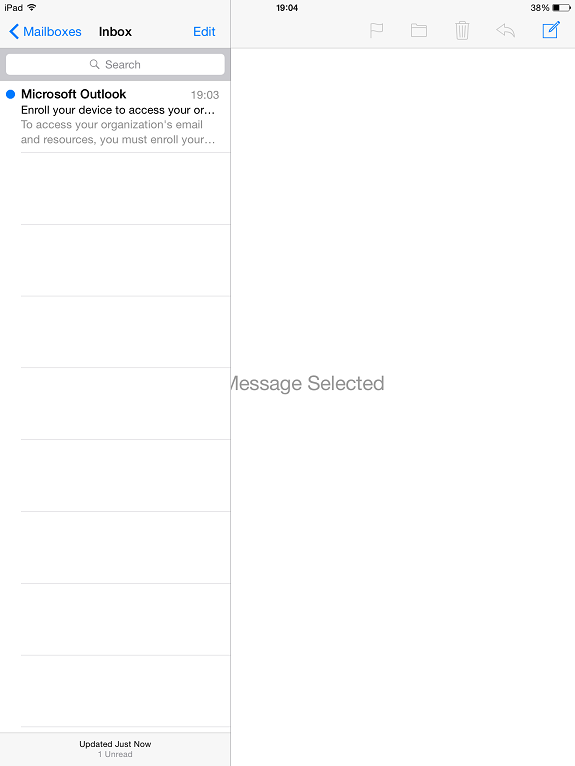 Settings in this list override those in the Targeted Groups list. 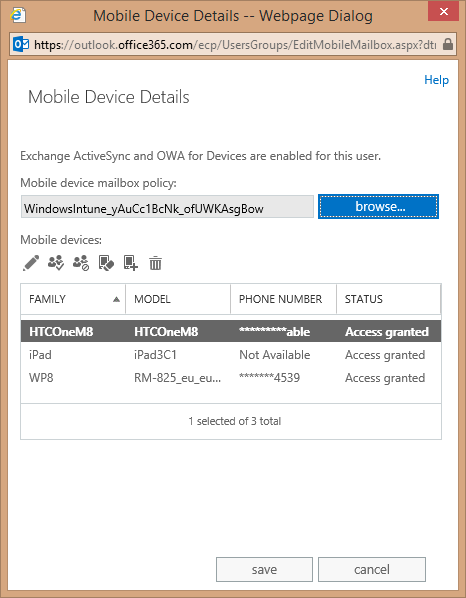 Click Add Rule to configure a rule that defines access levels for specified mobile device families and models. 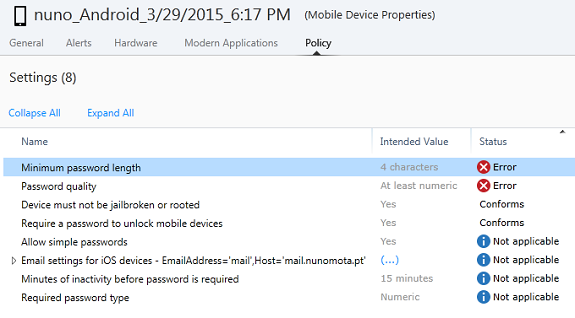 These devices can be of any type, so device types that are unsupported by Intune can be configured here as well. 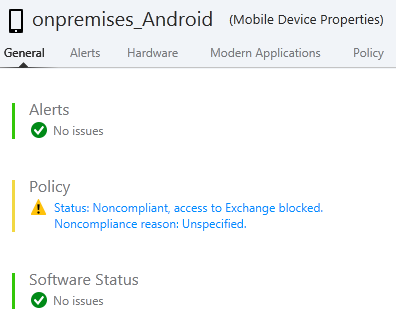 When a device not covered by any of the other rules is detected, we can choose to allow it to access Exchange, block it or quarantine it so we can decide later what to do. 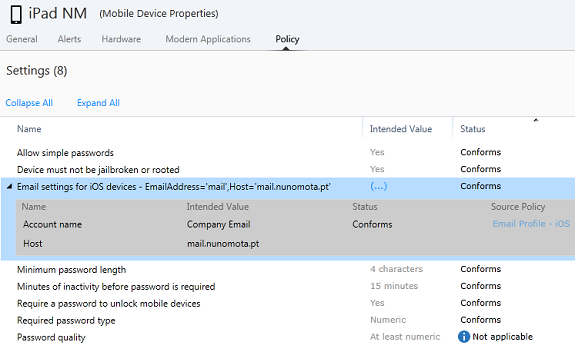 The default rule will apply to all device types, so device types that are unsupported by Intune will be affected as well. 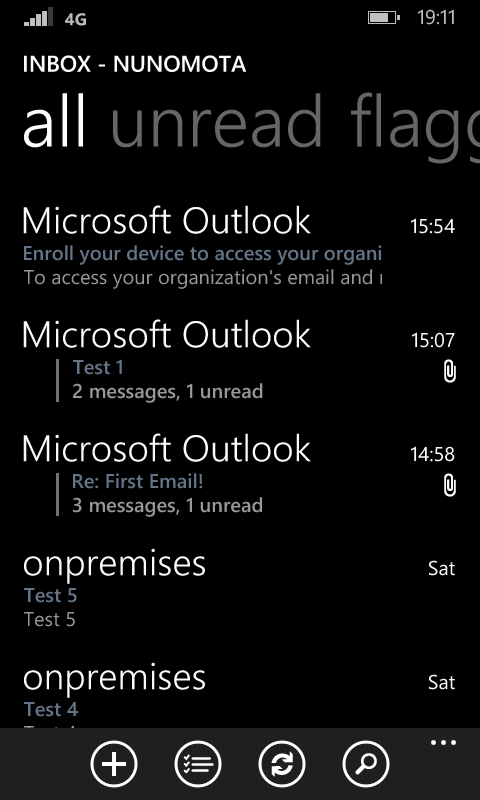 Specify the text to include when Exchange sends an email to users whose devices have been quarantined or blocked. 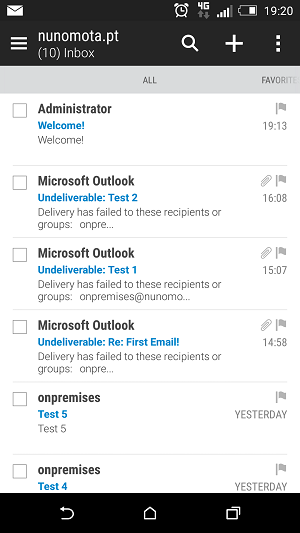 HTML tags can be used to format how the text will appear in the email message. 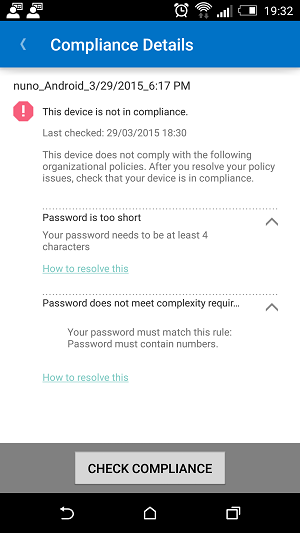 Additionally, information about the blocked device will be listed in the email message. 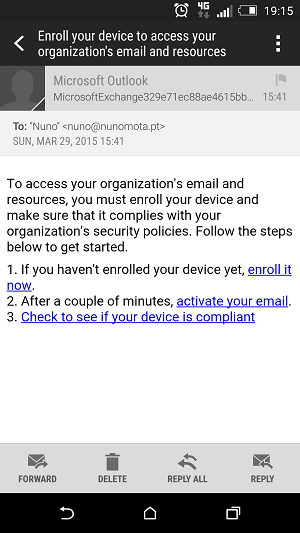 Note that the notification is delivered to the user’s Exchange mailbox. 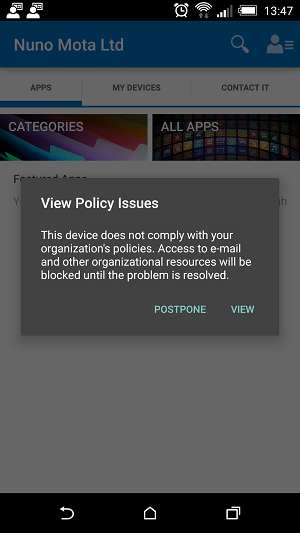 However, it will not be delivered immediately to the device that is blocked. 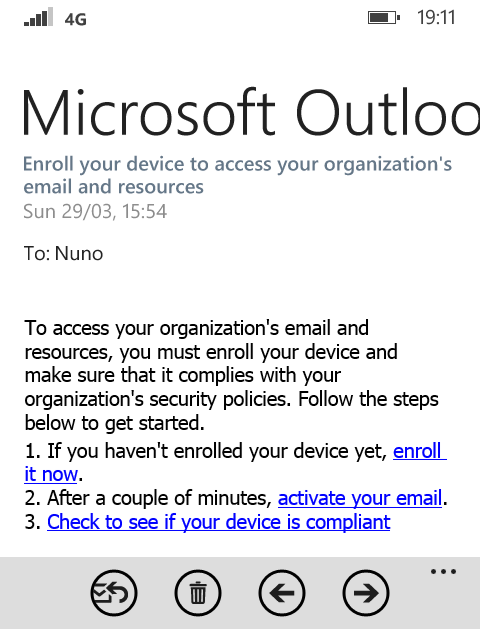 Other email clients that the user has access to via their web browser or on other devices they own will receive this notification. 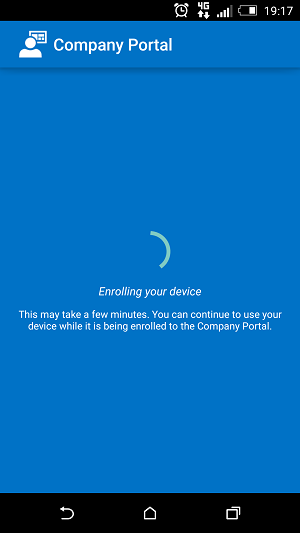 If the user un-enrolls from Intune it might take from 1 to 3 hours for the device to be blocked. 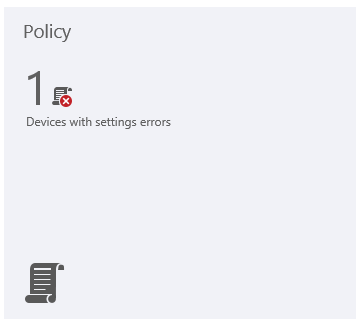 From the Filters drop-down list, select Does not conform to compliance policy. 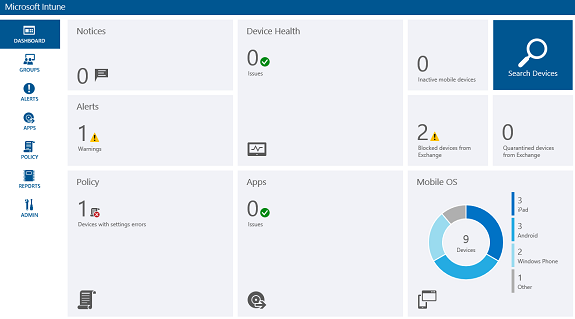 To view devices that were blocked from accessing Exchange, on the Intune dashboard, a tile named Blocked Devices from Exchange shows the number of blocked devices and links to more information. 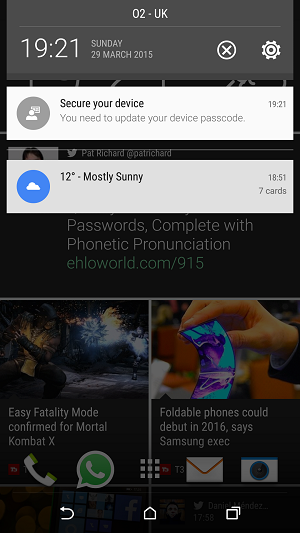 From here, the process is identical to what we have already seen. 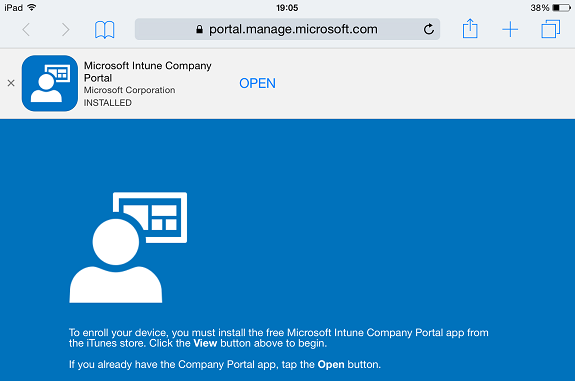 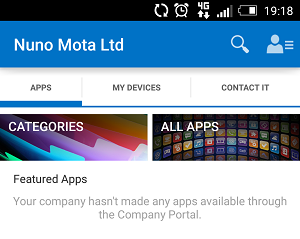 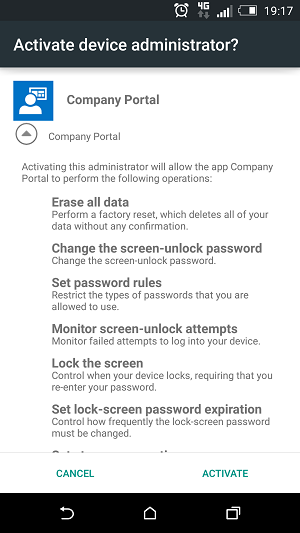 In this article we concluded exploring Intune’s Conditional Access feature. 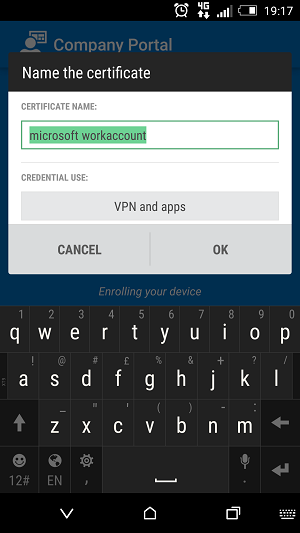 In the next and final part of this article series, we will look at Remote Wipe, Remote Lock and Passcode Reset. 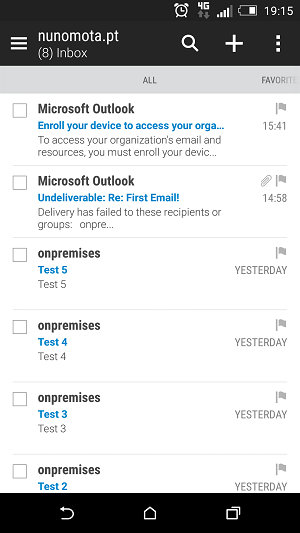 I noticed that you used Outlook for your Android test. 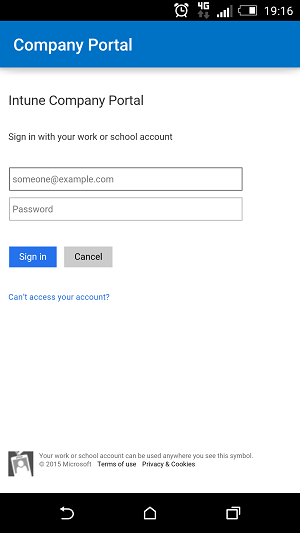 Is it your experience too that Android's GMail app is not working for the process where the user is prompted with the email to enroll in order to continue or gain access to email? 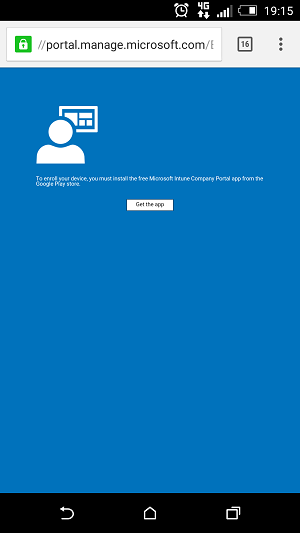 That's what it seems like but I can't find this in writing.